I love being able to try out new skincare brands as I often find products that I fall in love with and that work wonders for my skin. Skincere is a brand that I didn't know too much about before trying out a couple of their products but I have been really loving them. 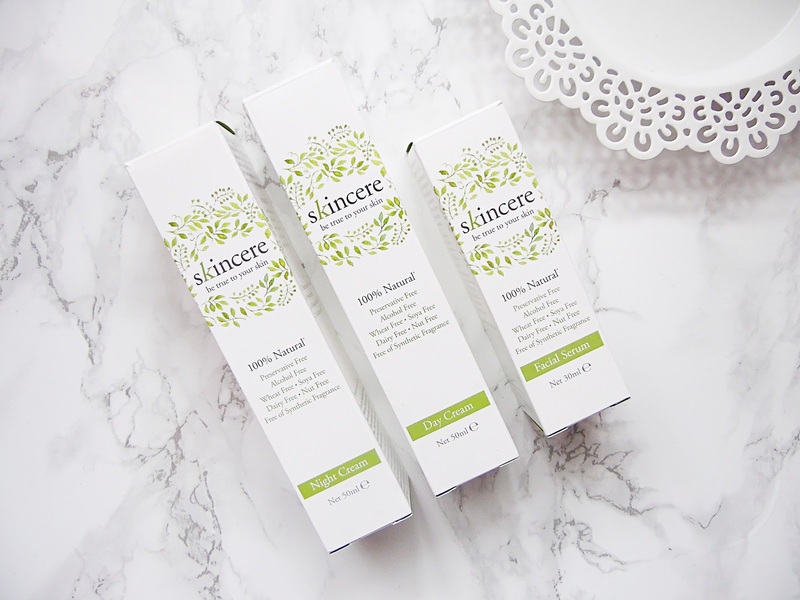 Skincere is an 100% natural skincare brand and from my experience the products are very gentle yet effective on the skin. The three products I have been putting to the test are the Facial Serum, Day Cream and Night Cream. The facial serum is clinically proven to increase skin firmness and elasticity in just four weeks while also reducing the appearance of age spots. It is an intensely hydrating formula with Jojoba, Sunflower and Mimosa waxes to protect the skins moisture levels and the natural plant extracts help visibly reduce redness and even skintone. This is just a couple of things that this serum can do for your skin but if I listed them all this post would be a mile long! This serum is to be used twice a day to cleansed skin before using the day or night cream for the best results. I have noticed that this has definitely helped with my redness, I have always struggled with redness but for the first time I have noticed my redness to be almost completely minimise and my skin has looked much more even. I have been really enjoying using both the Day and Night Creams. The Day Cream is a wonderful base for makeup as it has a non greasy formula and has helped keep my skin looking evenly toned and it has never left softer. My skin has been quite dry recently and this cream has helped restore my skins hydration. The Night Cream is incredibly soothing and nourishing to the skin. Every morning my skin feels softer and plumper. If my skin is feeling extremely dehyrated I pop a little extra amount of this cream onto the skin and my skin instantly starts to feel more comfortable and hydrated. The combination of all three products has made my skin look and feel better than ever from the redness being reduced and my skin feeling so much softer while having no dry patches. 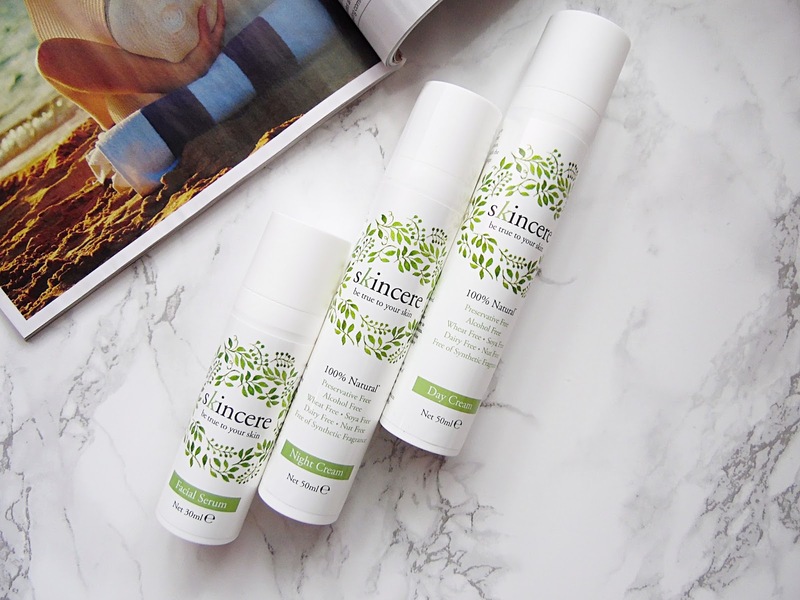 If you are looking for a new skincare range for sensitive skin or if you have any intolerances I would definitely check out Skincere as I don't have a bad word to say about these three products! These three products and all of the other products from the range are available exclusively at Holland and Barrett - HERE.